I had already colored and cut the cuties from Costume Party so all I had to do was make the background for this card. The sky is made from a mottled blue card. 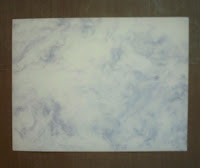 I've had this cardstock for at least ten years! I often think to get rid of it, but then I come up with another card that needs a sky and I dig it out again. 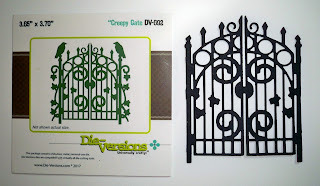 As you can see, I edited the creepy gate a bit, cutting the ends and the birds to help it fit on the card better. 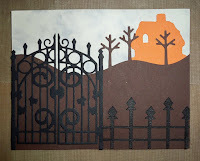 I cut the fence using my Silhouette Cameo and I matched it with the gate the best I could. coming out of the chimney, which will be SO cool in the winter, but, once I put the house on the hill, the smoke was too "high", so I trimmed it off. Once I put the background together, I added the Costume Party characters, complete with a pumpkin bucket to collect all the candy. I hope when they finally get to the house on the hill they get lots of candy 'cause it looks pretty spooky to me! To add a bit more interest, I used dimensional dots on the unicorn; he sticks out a bit more than his two trick or treating friends. He should; after all, he has the candy bucket! I have a small giveaway going on! Just go to this post, and comment on which costume you like the best. Open internationally and on going until I get 75 entries or November 1, 2017, whichever comes first. Very cute Halloween scene. Spook-tacular! Christi, this is adorably fun! 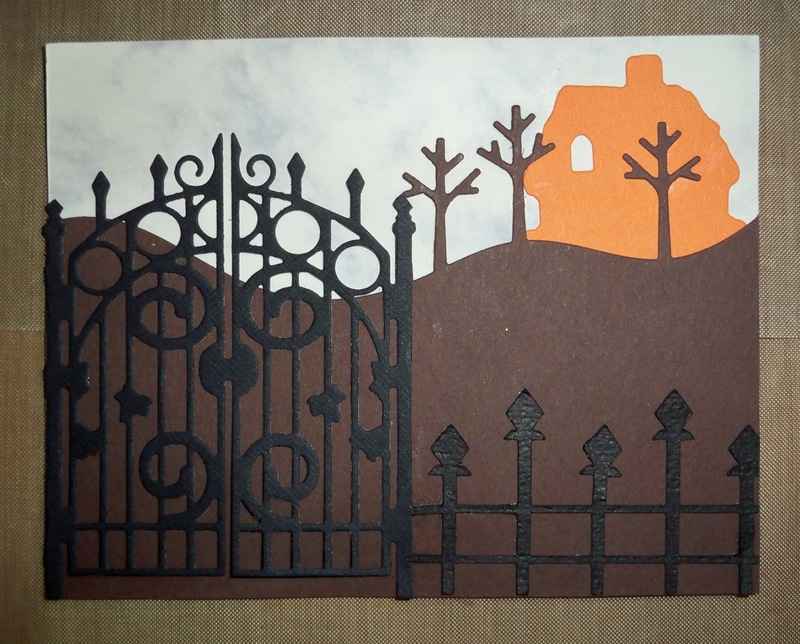 Great job on the gate and fence. 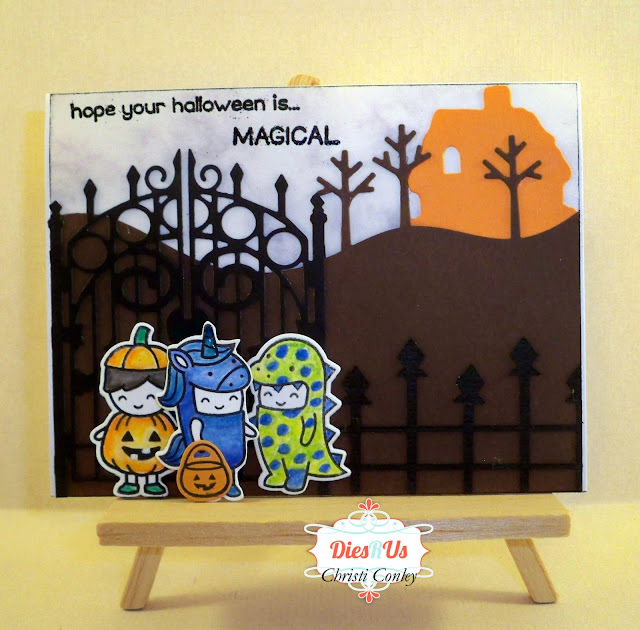 Happy and adorable little Halloween scene. Specially the gate and fence. too cute! 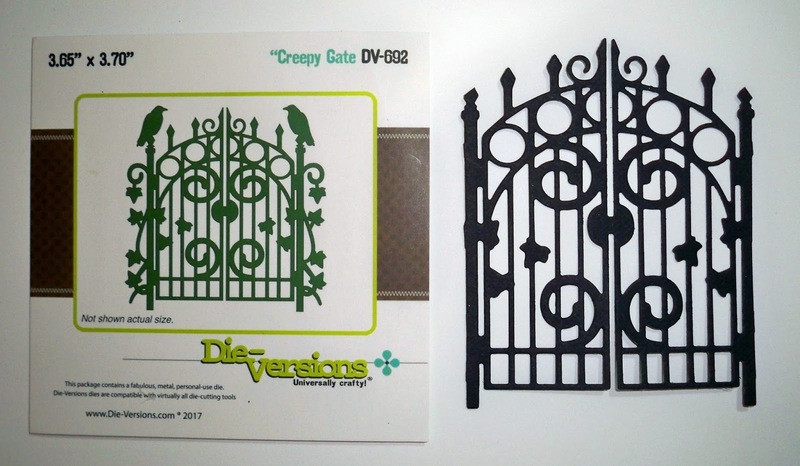 I need this gate it would be so versatile!